Publication in "Annals of Oncology"
Important note to those whose study includes Japanese participants. however, the guideline has changed. From now on, please access the English website for all submissions. JSMO2019 accepts abstracts for free paper. Presentation style will be either Oral or Poster presentation. (a)	Please note that if you select "Trials in Progress," your abstract will NOT be included in electronic program. Your submitted abstracts will be printed and handed out to the participants at the room where you deliver your presentation. Once you are nominated as a candidate, you will be requested to submit an electronic data for review in May 2019. If you would like to be reviewed as a candidate, please check the box to be reviewed as the candidate for the Abstract Young Investigator Award. * All submitted abstracts will be reviewed by the Peer Review Committee and decided comprehensively based on the study contents, ethical aspects, and etc. You may choose the presentation style (oral or poster) when you submit an abstract. However, please understand that the congress president will make a final decision on the presentation style, presentation session, as well as acceptance/rejection. JSMO2019 would like to deepen discussions based on the latest research results. We accept such abstracts as "Late-breaking abstracts". If you are applying for Late-breaking abstracts, please select "Yes" for the question, "Are you applying for late-breaking abstracts?" and submit an outline and predicted results of your research as interim registration in the abstract text box. * The accepted results are not influenced even if the actual research results were different from your prediction. JSMO2019 will select the abstracts for "Presidential Sessions" from the submitted abstracts this year instead of usual Plenary Session. The selection flow is as follows. The program committee members choose the following number of abstracts from each category. 38 abstracts in total: 6 abstracts from each Gastrointestinal Cancer and Lung Cancer/Thoracic Cancer, and each 2 abstracts from other category. Congress president selects 12 abstracts out of 38 abstracts, and the final selection will be made at the program committee. There is one session a day, and each session is 120 minutes consisting of 4 presentations. Each presentation is 30 minutes in total (presentation 15 min, Q&A 5 min and discussion 10 min). JPY50,000-100,000 of travel support to investigators from Asia (depending on the quality of abstract). JPY150,000 of travel support to investigators from others. Provide your conference registration to JSMO2019. 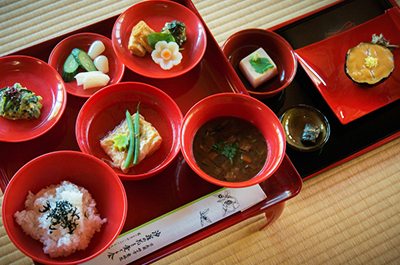 Hotel accommodation while you stay in Japan (Single room for four nights). Note: To qualify for the travel award, you must be free of any commercial grant or support. Young overseas doctors/researchers, who live outside of Japan, 45 years old or younger, as of July 20, 2019 (the last day of JSMO2019). Please apply by submitting your abstract from the Submission Page (click the "Submit" button below). Each applicant will be notified by e-mail around the beginning of May, 2019. 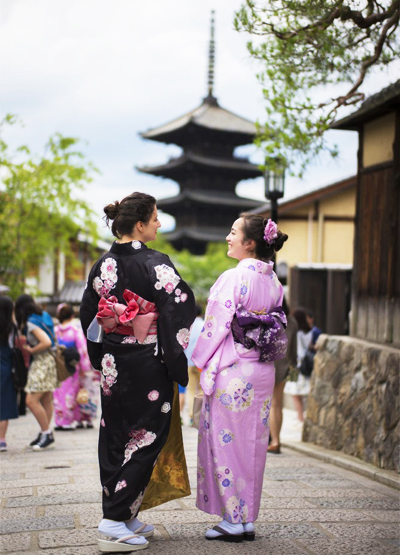 Those selected presenters will get a chance of having on-site tour to visit institutions and private enterprises in Kyoto as an award. 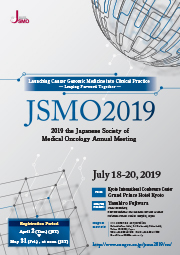 Abstracts (oral/ poster) submitted in English for JSMO2019 Annual Meeting will be published in ESMO/JSMO Scientific Journal, supplement to "Annals of Oncology" (Oxford University Press). If you wish to have your abstract published in "Annals of Oncology," please select "Yes". However, in case that there is any possibility of duplicate publication or encore publication, please refrain from selecting "Yes". 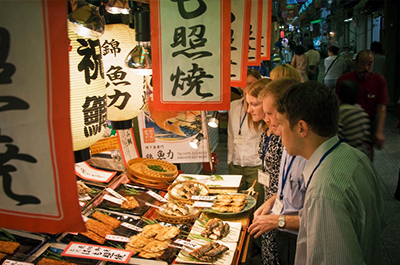 Oral presentations are free of charge but poster presentations are required 5000JPY of the posting fee of "Annals of Oncology" in addition to the Congress registration fee. You can cancel publication of the journal after the acceptance notice. We will contact you to confirm your final intention when the presentation style is decided. The presenter (the first author) and the principal investigator must disclose the name of any company or for-profit organization related to medicine they have a relationship with, defined as follows: in the following items (3) to (9), (11), (12), exceeding separately stipulated criteria, and (1), (2), (10), (13) if met. The subject period is from January 1, 2016 - December 31, 2018. For oral presentation, please use the slide below as a template to disclose conflict of interest. For poster presentation, please prepare and print out the slide, and put it at lower right of the poster panel. The content of your declaration will not affect the acceptance or rejection of your abstract. Does your study comply with the Declaration of Helsinki? Was your study approved by an institutional review board before starting the research? We accept abstracts submitted online only through the submission system. You may enter the submission page from "Abstract Submission" button at the bottom of this page. Author information and abstracts must be submitted in English. Abstract title must be up to 120 single-byte characters. Abstract text must be up to 2,000 single-byte characters. The maximum of 20 authors (first author & co-authors) can be registered. The maximum of 20 affiliations (including the affiliation of the first author) can be registered. Any chart or diagram cannot be included. Regarding the special characters, please refer ‘How to type special characters’ in the registration page. In the registration page, you will be asked to enter the information such as "application for Late-breaking abstracts", "application for Travel Award", "Publication in Annals of Oncology" as well as COI information. * It is recommended that you prepare your abstract text by Word/ text file in advance, and then copy it on the registration page. * After completing the abstract submission, the abstract registration ID number and your password will be sent to the first author’s email address. The ID number and password will be required to confirm/modify/delete/add abstracts. Please be sure to enter the correct e-mail address. Please be sure to keep the ID number and password by yourself. The congress secretariat will NOT keep track of your information. You can access to confirm/modify/delete/add abstracts during the abstract submission period. The ID number and password will be required to enter the page (confirm/modify/delete/add abstracts). Notification of acceptance/rejection will be sent to the first author by email by May, 2019. Copyright © 2019 the Japanese Society of Medical Oncology Annual Meeting. All Rights Reserved.